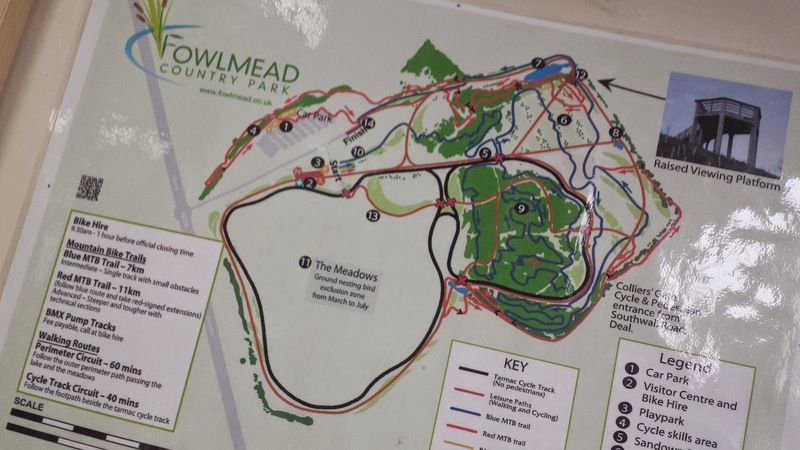 After my disappointing debut in the Kent Fitness League cross-country at Oxleas Wood just one week earlier, I arrived at Fowlmead Country Park, in Deal, feeling hopeful that I could find some kind of improvement in my second race in my Dartford Harriers vest. This race was hosted by Deal Tri Club. Fowlmead is a 200 acre country park on the site of a spoil tip from the Betteshanger Colliery which was the largest of Kent's four successful coal mines and closed in 1989. For 11 years the site was unused until the South East England Development Agency (SEEDA) acquired the freehold and the land started to be developed, which included the planting of 130,000 trees and shrubs, as part of the National Coalfields Programme. The park was opened in 2007 by Sir David Bellamy and is now primarily a place of leisure with the park being very popular with runners and walkers, but even more so with cyclists due to the mountain bike paths and the 2 mile long tarmac cycling track. The area also boasts many acres of established woodland where bushcraft and fossil collecting are popular activities. There is an onsite car park for which there is a £2 charge via a barrier system at the entrance which does not give change, so bring the correct money with you. Toilet and shower facilities are available free of charge in the visitor centre (funded by SEEDA and Sport England) and the onsite cafe is open from 9.30am. 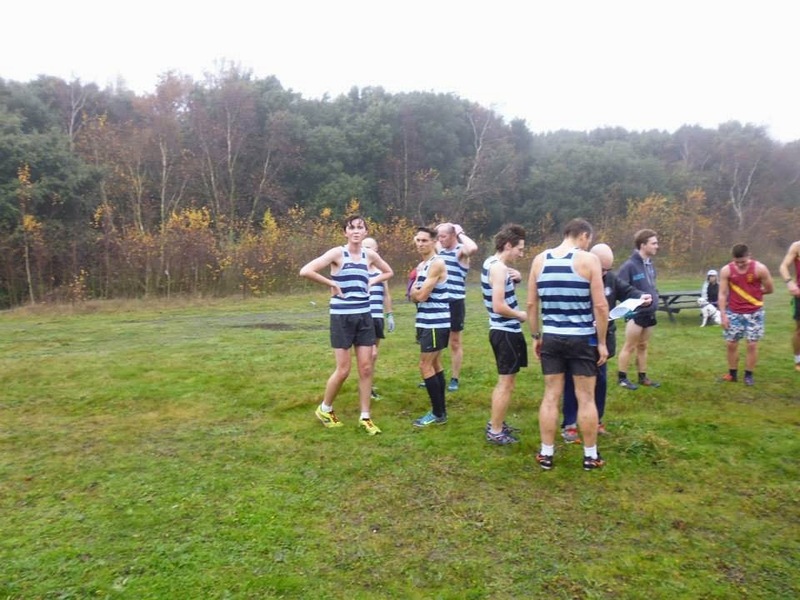 I met up with the rest of the Dartford Harriers team in the cafe where there was plenty of discussion about which shoes would be the best for the course. I had the choice of my old Adidas TR3 trail shoes or my brand new New Balance MT610 trail shoes. The TR3s have a more aggressive tread but are much heavier than the NB, so without really knowing exactly what to expect underfoot, I went for the New Balance because they have a much racier feel to them. The 2 lap race was started at 11am sharp and off we all went. It had a nice wide start line which extended from the gravelly path across onto the adjacent grass, which was handy as it gave the runners plenty of space to jostle for position along the opening stretch. The majority of the race took place on these gravelly paths, with only a few short sections on some trails - there was one twisty trail section that was a lot of fun and really stands out as a highlight of this race. I am happy to say that despite being overtaken by a large amount of runners during the opening stretch, I managed to have a much better race than at the previous week's KFL fixture. I started the 8.5km race at a decent-but-not-reckless pace, and once all of the eager beavers had got about 500 metres down the path and settled down into a more appropriate pace, I started to work my way through the field. 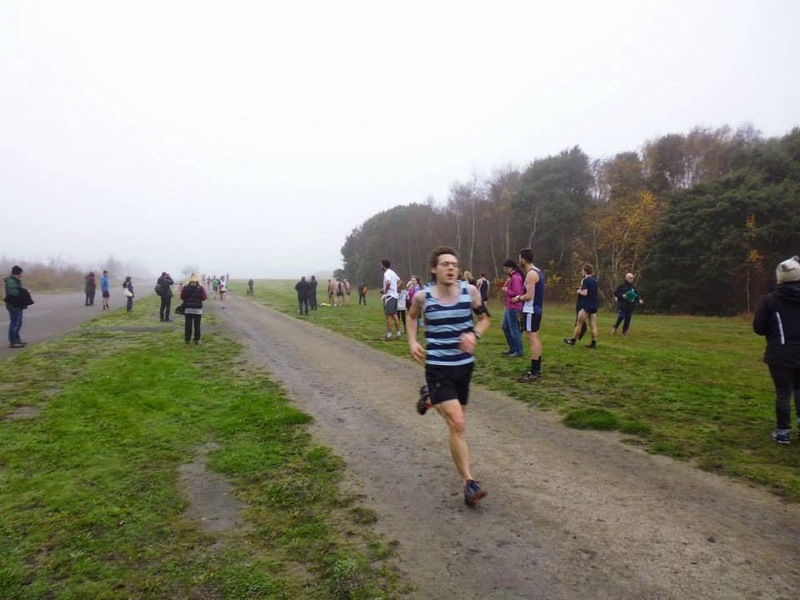 Although the course was generally flat, there were a few extremely gentle inclines that had the potential to slowly wear the runners down without them realising. Then there were also a couple of short, but steeper inclines. However it wasn't the uphill bits that were the tricky part, it was the downhills. There were only one or two, but they were steep and slippery, plus it would have been easy to misplace a foot so required a certain amount of caution. There were a few wooden bridges to cross en route and they were a bit slippery. I almost lost my footing on one of them and after the race I heard reports that some runners had actually slipped over. By the end of the first lap I was feeling pretty exhausted, but as the second lap progressed I continued to catch and pass people and I felt like I must have had a second wind. So the last few kilometres turned out to be very enjoyable as I caught and passed a few more runners. One of my Hoops team mates was once again was the race winner, so that was brilliant! 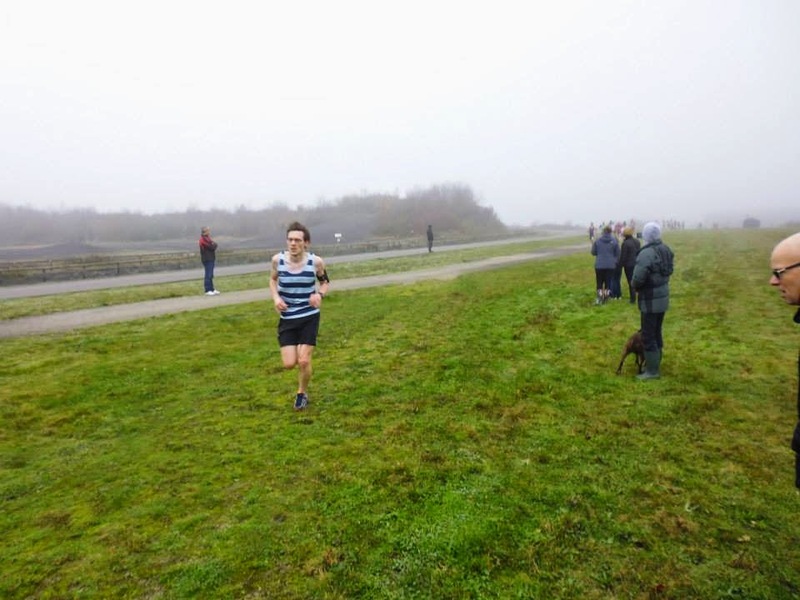 I finished in 35th position out of the day's 343 runners and was the fifth Dartford Harrier to cross the line, which meant that my efforts contributed the team's overall score (wohoo!). This was partly due to less Dartford Harriers runners being present and partly due to me putting in a much better race performance this week. After getting changed into some warmer clothes, it was on to the cafe to have a cup of tea and watch the post-race presentations and raffle. The full results were published later that day.